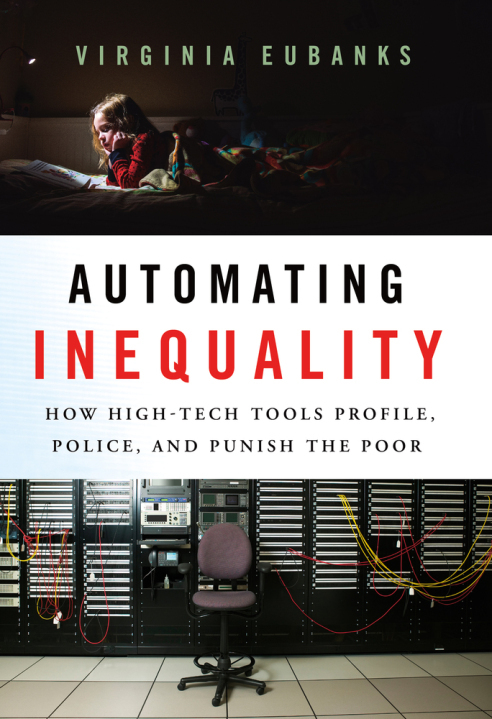 In Automating Inequality, Virginia Eubanks systematically investigates the impacts of data mining, policy algorithms, and predictive risk models on poor and working-class people in America. The book is full of heart-wrenching and eye-opening stories, from a woman in Indiana whose benefits are literally cut off as she lays dying to a family in Pennsylvania in daily fear of losing their daughter because they fit a certain statistical profile. “This book is downright scary,” says Naomi Klein, “but with its striking research and moving, indelible portraits of life in the ‘digital poorhouse,’ you will emerge smarter and more empowered to demand justice.” Join us for a lively discussion of this timely book!